Remember the story of the spider and Robert Bruce? 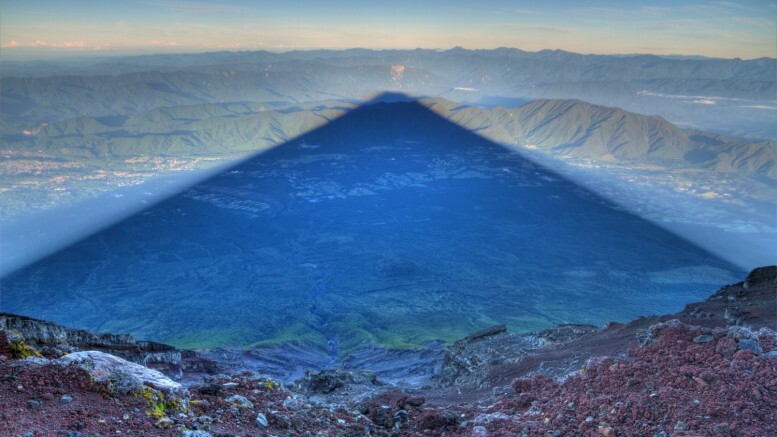 Well, the simple moral dictum is also applicable in the case of photographer Kris J B, as he ultimately succeeded in the capturing the magnificent shot of the Mount Fuji – or rather the glorious shadow of this fascinating monument of nature. 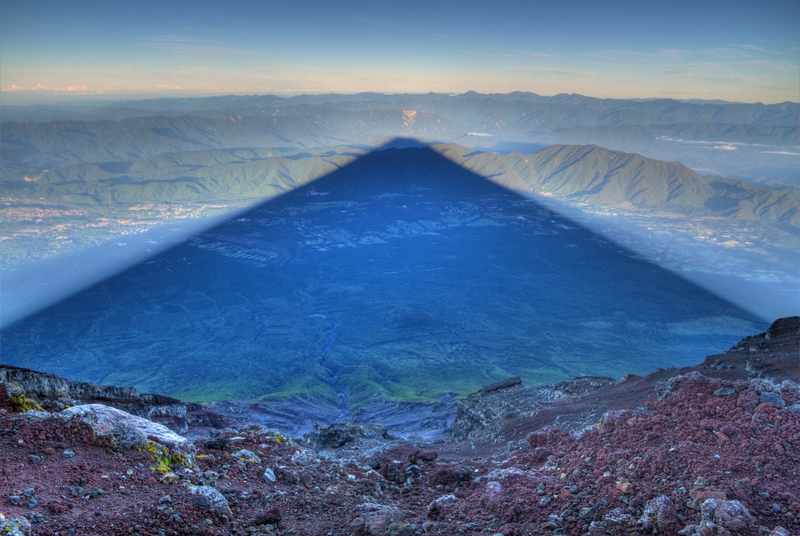 Boasting of more than 3,776 m (12,389 ft) height, the most recognizable Japanese ‘cultural’ heritage is known for its near-perfect symmetrical cone. Kris J B’s shot convincingly exhibits this geometrical flair all within the setting of a paradisiacal scope. As for the praiseworthy journey of Kris J B, it was his fourth attempt in 2012 that allowed the capturing of the imposing grandeur of the Fujisan. In fact, our resilient photographer was almost successful in his third attempt in 2011, except for the intrusion of the heaven-bound clouds in the distance. Unfortunately, as expected, the successfully photographed image of the fourth attempt (pictured above) was used in various media outlets without giving him his due credit for the impressive shot. Anyhow, you can still follow him in Facebook (which does contain some superb works of the photographer) and also his own website.